One of the biggest benefits to being a niche or indie gamer is that I am constantly surprised by games. Case in point, a game I played at PAX West called Pirate Pop Plus. I honestly couldn’t tell you now what exactly made me decide to drop by and play it. Despite being a spur of the moment decision, it’s one I’m very glad I made. 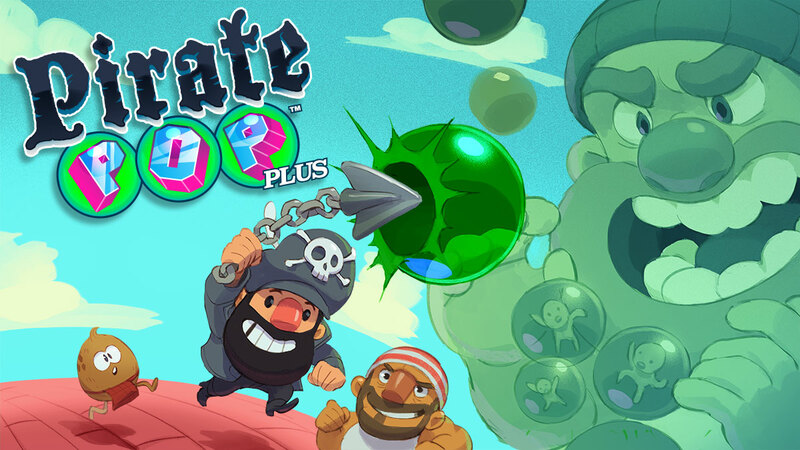 Published by 13AM Games and developed by Dadako Studios, Pirate Pop Plus is a great example of what I love about indie games. It’s surprising, fun and challenging. But the question is; is this 3DS game worth your hard earned pirate booty? Keep reading to find out! 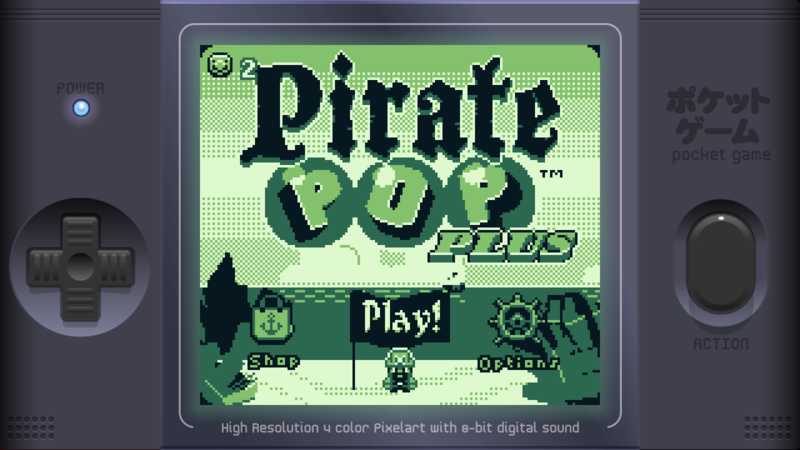 The premise of Pirate Pop Plus is simple. You play as Pete Jr., a decent sort of pirate who has woken up on a mysterious island. Upon waking, you find ominous bubbles filling the sky. Not just that, but these bubbles are full of captive villagers! Who could be behind this other than your nemesis, the Bubble Pirate! Yes, the plot is silly and simple, but it’s also a refreshing nod to games of yesteryear. It’s just enough to get things going, but nothing with any real twists or turns to worry about. Frankly, that nostalgia is abundant in every aspect of the game, and that’s part of what really appealed to me about it. Let’s see those bubbles get past this Clamp maze! Gameplay is also simple, but deceptively so. The basic game consists of running around collecting coins and firing anchors above where you’re standing to pop bubbles, which Bubble Pete will constantly be appearing to spew at you. Granted, you wouldn’t normally think of bubbles as dangerous (unless you’ve played Bubble Bobble), but these bubbles can and will hurt you. 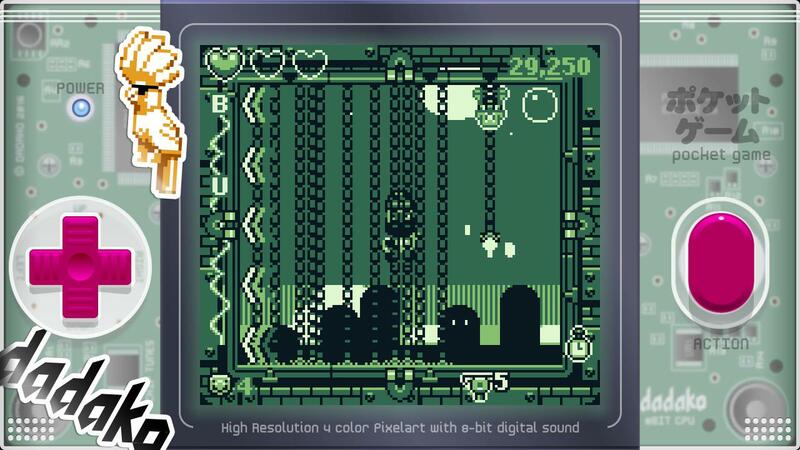 There are two modes, Normal and Hyper, though you need to pay 25 coins to play the latter. The upside of that is that you’ll earn significantly more coins in Hyper mode. You only have 3 hearts in Normal mode, and only 1 in Hyper mode, and once you’ve lost all of them, it’s game over. Not only that, but each bubble you pop will separate into smaller ones, all of which will bounce across the screen until you deal with them. As you can imagine, things can get hectic fast, especially when you factor in the other key gameplay component – gravity switching. Topsy Turvy is the phrase of the day! There are two ways that gravity is controlled in the game. Either Bubble Pirate will motion and shift the gravity in one of the four directions, or you can pick up an arrow item that will shift everything the direction it’s pointing when you touch it. Those bubbles get a lot nastier when they are affected by gravity. They tend to bounce in more dangerous and unpredictable patterns, especially when one you were about to pop above you suddenly is falling towards your side. It can be really disorienting to be shifted to the walls or ceiling, but there is an opportunity that beckons when this happens. While you’re falling, be it upwards, downwards or to the sides, you can stomp on bubbles with your boots. This might seem straightforward, but in my time with the game I found that I could still stomp bubbles with my head or by crashing into them from the side, just so long as I had momentum moving Pete Jr. Years of Mario may make it seem like you can only stomp things by jumping on them, but that’s not exactly the case in Pirate Pop Plus. Which is good, since this adds a distinct layer of nuance I didn’t expect this game to have! Another fun trick is hitting bubbles with the side of your anchor chain instead of the tip to pop them. There are a lot of little techniques that the savvy gamer can learn. Sneaky Bubble Pirate! Stop playing with gravity! Another important aspect of the game is the combo count. Every time you pop a bubble without missing and hitting a wall, you’ll increase your count. For every 10 bubbles that you pop, you’ll earn 1 coin. To cash these out, all you have to do is fire your anchor against the wall. Essentially this means that if you keep firing and missing bubbles, you’ll never earn that many extra coins. In other words, Pirate Pop Plus encourages you to be accurate and coordinated. Luckily, you’ll have a few tools besides just your anchors at your disposal. As you play, random items will appear, most of which are positive (except for the Skull), such as the Freeze and Shield items. There are even a few that act as weapon changes with limited ammo, such as the Airsoft, which lets you fire two pronged gun blasts, or the Clamp, which fires chains that stick to the wall and only disappear when they pop a bubble. Though these are very useful items, you can’t rely on them, since their appearance is pretty random. Also, while using them, your combo count is frozen until you start using your standard anchor again. Another item you should look for is treasure chests, which gush coins once you touch them, or the BONUS letters. If you manage to collect all of them, everything on screen will freeze and you will be showered in coins, just like Scrooge McDuck. But you’re probably wondering by now: “do all these coins do anything?” Why yes, they unlock a whole treasure trove of items! 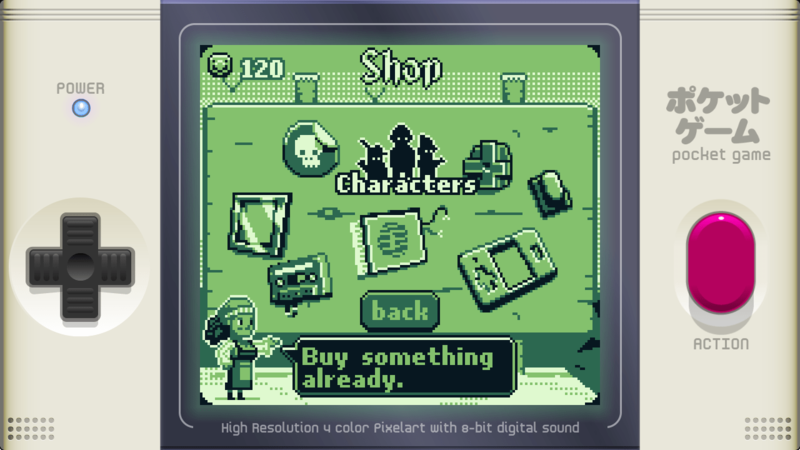 Pirate Pop Plus has an incredibly robust Shop where you can buy all sorts of things. You can buy decals to adorn the screen (called the Pocket Game), colored buttons, backlights, borders and other visual modifiers. You can also buy new characters to play as, all with their own unique stats. More exciting to me is that you can unlock several different music tracks to play while you pop bubbles. I thought these would be simple remixes of the main theme, but they all are totally different 8 bit compositions, and they all lend the game a different mood, which is fantastic! 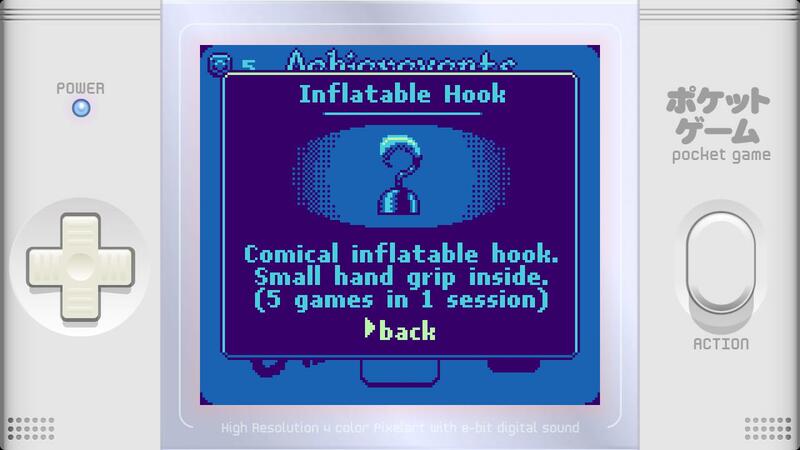 The other main draws in the game, which also lend it a lot of replay value, are the Achievements. There are a dozen or so that you can win, but you don’t know what they are to start. You can certainly blindly unlock them just by playing, but if you want to sate your curiosity and be a completionist, you can also spend coins to see the requirements for each one. In my 4 hours or so I spent playing the game for review, I only unlocked a few achievements and about half of the items in the Shop. There are a lot of reasons to keep playing, and I’m determined to unlock each individual nugget in my quest to master the game. 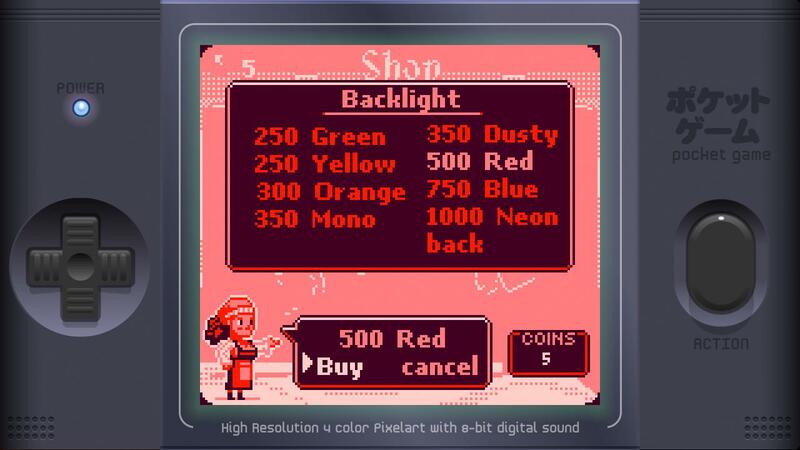 Buying backlights isn’t cheap, you know! 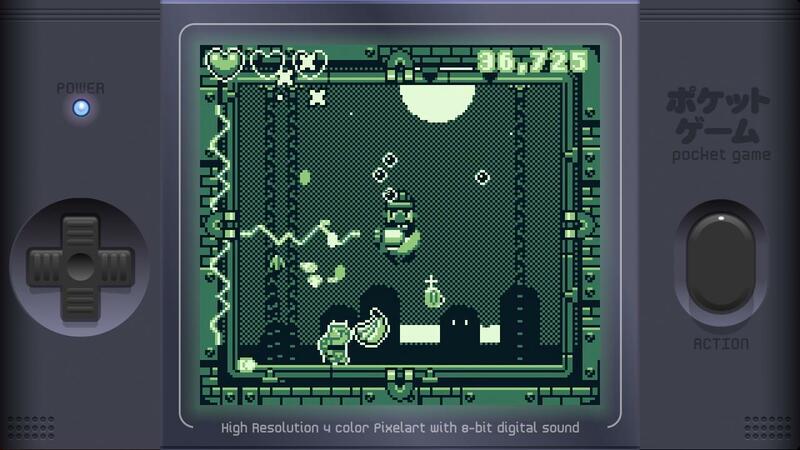 As far as the aesthetic design of the game, I’m very happy with the retro graphics style. Everything looks like something from the Game Boy or Game Boy Advance era. The simple two tone colors don’t hurt this impression, but akin to games like Downwell, it just makes me feel more at home. 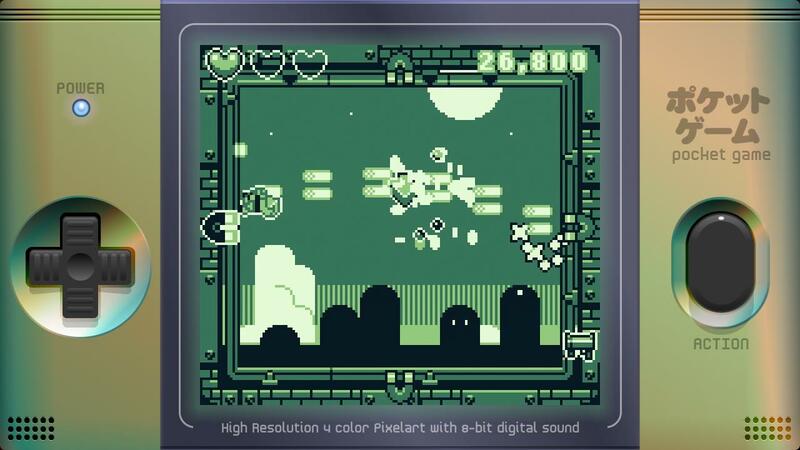 My only complaint on the visual side of things is that the 8 bit sprites are very small, but I found out you can zoom in the screen by pressing the R button. The only downside to this is you can’t see the Pocket Game decals, but sometimes it’s worth it to relieve your eye strain. On the audio side of things, I was very pleased. Each of the 4 tracks sounds utterly different, from the mellow Original Mix to the upbeat Dan Mix, to the sci-fi IVIC mix and finally, the energetic gyms mix. They are each catchy earworms and are sure to stick with you hours after you play. Best of all, each mix somehow fits the game perfectly, and that’s a hard feat since they are all so different. And on a final note, the individual sound effects are also catchy, including a couple that sound like they are straight out of a the first generation Pokémon game. I was very pleased with my time with Pirate Pop Plus. It takes a simple arcade game premise and fleshes it out with style, substance and lots of replay value. There is just enough nuance to the gameplay to keep things interesting, and with all the unlockable content, you’ll be coming back again and again for more bubble popping fun. This game has done what I thought impossible and captivated me just like the classic games of my past. For $4.99, you’d be foolish not to pick it up, especially considering it will also be releasing on Wii U and Steam. Now if you’ll excuse me, I have more coins to gather and more stuff to unlock!